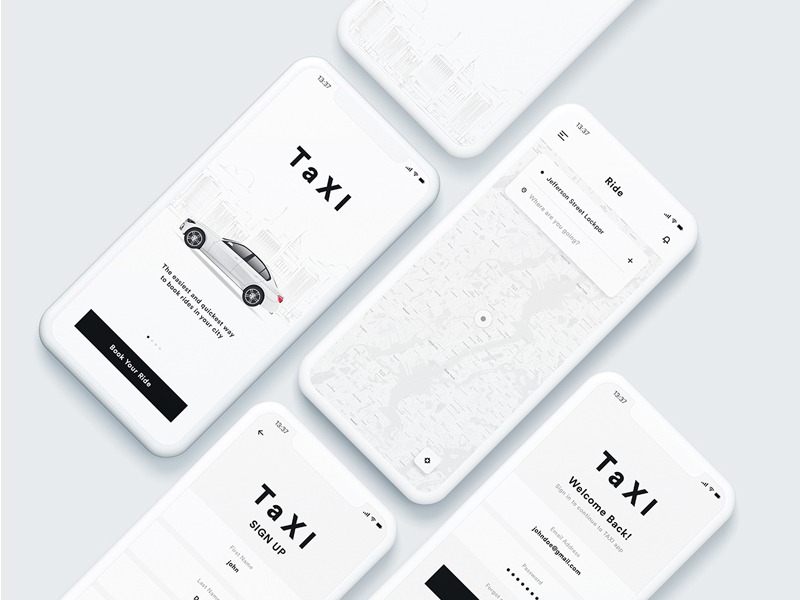 Taxi Cab - the Uber Clone software provisions the entrepreneurs with a ready-made customizable clone script that is power packed with features compatible with both iPhone OS and Android OS. We are one step ahead with exciting and smart features making it out with the original one. TC Share - Uber Clone assures the best uber clone script in the industry. Uber has stimulated the need for the on-demand services and has been considered the trendsetter in the industry. With the users pampered with on-demand services with just a few clicks, we have advanced one step ahead, to offer you app management solutions with a ready-made uber clone script that helps you save time and money in setting up your own website. With our instant uber clone script - you would not waste time in setting up the website so that you can get in track with your on-demands service business hooking on to the trend and not missing out on the same. The users and drivers can sign up to use the Uber Clone application. Drivers and users can register or signup through a social media outlets like Facebook, Twitter, Youtube and such. Users and drivers can create their own profile by adding details in the Uber Clone application. They also given a feasible option to edit, delete or even add information. The users and the drivers have different options to login into the Uber Clone business app. They can either login directly through the application or through social media like Google plus, Facebook and Twitter. Users and Drivers can know the get the direction from source to destination using the map. All the notification mails are predefined as a template which can be instantly sent to the app users. Why do you need an Uber Clone Script? Taxi Industry is now getting adorned with Uber Business model concept, exploiting technology to transform the world's cab demands. Thriving success amidst the alternative adversaries is never easy. With Uber clone script, business enthusiasts can get an instant customized Uber Clone app done in minutes accommodating all the desirable features for an on-demand taxi service. The Uber Clone app trend is on and the taxi industry is all glued with the technology to benefit the demanding customers. There is not going to be a look back with the online Uber Clone app business and it seems to be flourishing better and evergreen in the global niche market. The on-demand service has taken a giant leap and the industry is growing luxuriant giving it a space for startup enthusiasts to thrive best in the industry. compatible with both iPhone & Android devices. Categorizing car types is a seamless step with Uber Clone app. Users can choose their option with just a single click. It provisions to search the car based on the users' demand within the closest proximity satisfying the instant demand of the app users. Drivers are given a space to share the details of their cars in the app, making it available for the users, when a cab request is placed. This option avails the cab drivers to edit the details of the car that has been posted in the car listings on the Uber Clone application. The cab booking Uber Clone app helps users understand the availability of the listed cars for checkout through its inactive or active status. Considering factors like distance and fare, users can place a request a cab for a ride. Users can ride cashless by using the Wallet feature in the app. Users can pay money through credit/debit cards or can add money to the wallet in the app. Users and drivers can track the location using a well-organized tracking option through Google maps. The source and the destination provided by the user can be confirmed on the cab request, to be processed further. Users can add emergency contact details, this is made available to the drivers, in case, and the user is not reachable through his or her number. Users can either use plastic cards or online payment gateways as per their convenience. Users are given a flexible option of changing the currency settings as per their demand anytime. The Uber Clone app provides the users and the drivers with the language settings options, while they stay connected to the app through their regional language. The Uber Clone business can be expanded and activated across a number of cities. When the maintenance mode option is switched on, the users are notified that the cab app is under maintenance. The Uber Clone app is all built with intense SEO settings. The Uber Clone app is optimized to top the search results. The Uber Clone app is created with a utility to help users to get a rough idea on how much the cab ride would be, even before they start the ride. The users and drivers can check their previous cab rides through the booking history option on the app. Each driver is provisioned to have a separate login details. The user is given an option to send a complaint on a driver in case of requirement which is prompted at the admin's end instantly. Promo offers are notified to the customers as a part of reward programs. The payment summary of rides can be generated easily. The user can mark their rides favourite so that they can choose it when they want the same ride again. The driver and rider can instantly chat with each other after the booking. Admin can exploit the platform to earn better remuneration. The rider can sign up either through iPhone or Android mobile applications directly or through social media. The rider can choose the type of cab, check for fare estimate, enter pick up and drop location, track the driver's location at the time of arrival. The rider can also track booking history on this app. The drivers can register with the mobile application and on approval by the admin. The driver will be available when the rider places a cab request. Drivers are given an option to update their status as active or inactive. Driver can also reject bookings according o his convenience. It is also feasible for the driver to track the booking history and oversee the status of the bookings made. WILL YOU SUPPORT TESTING THE APP IN THE LOCAL HOST/ SIMULATOR? Some customers ask us to test the app in the local host before installing it on the server. We will not support testing the app in the local host/simulator. Customers have to test themselves before installing it on the server. WHAT IS THE TURNAROUND TIME FOR INSTALLATION? The average turnaround time is 12-24 hours, and it depends upon the hosting companies. The installation is completely free of cost. WHETHER DATASYS HELPS WITH THE APP’S APPROVAL? Yes. We completely help our customers in the approval of the app, for which the customers should provide the IOS app store login and the Google play store login details for the app to get approved. In order to submit the app successfully in the app store; our experienced team will communicate with the customers through basecamp or Skype to get the required details. WHAT HAPPENS IF THE USER MODIFIES THE CODE? We strongly recommend our customers not to make any changes in the script, because it is difficult for us to work on the modified code and our free support will be stopped, if the customers have made any changes in the script. WILL YOU GIVE ANY TECHNICAL SUPPORT AFTER PURCHASE? Yes. We support the product after purchase by doing customization changes, fixing bugs and many other issues. WILL YOU CHARGE FOR THE CUSTOMIZATION CHANGES MADE? WHAT IS THE REFUND POLICY OF TAXI CAB SHARE? We insist our customers test the demo version of the product, which is available on our website before making the purchase. You can ask your queries to us through Skype or live chat. Our technical team will help you if there are any issues with the installation or purchase, they will help you to resolve the issues through Skype, live chat, Basecamp, email and many other options. Once the app download details are sent to you, we will not consider any refunds. Do you need help with other software development challenges?